You may have read my previous postsabout the Lean LaunchPadentrepreneurship class. The class teaches founders how to dramatically reduce their failure rate through the combination of business model design, customer development and agile development using the Startup Owners Manual. Just a crazy idea two years ago, the class is now taught at Stanford, Berkeley, Columbia, Caltech, Princeton and for the National Science Foundationat the University of Michigan and Georgia Tech. Startup Weekend Next is a four-week version of the Lean LaunchPad class withhands-on instructors and mentors – and we will teach it in hundreds of cities around the world. In the U.S, Startup America will leverage its network of 30 startup regions to engage entrepreneurial leaders throughout the country. And TechStars will use its broad andunparalleled network of mentors (experienced entrepreneurs and investors) to coach the teams. And Udacity has put their awesome production resources behind the class and hosts the Lean LaunchPad online lectures. And we are looking for other partners worldwide to help make this successful. 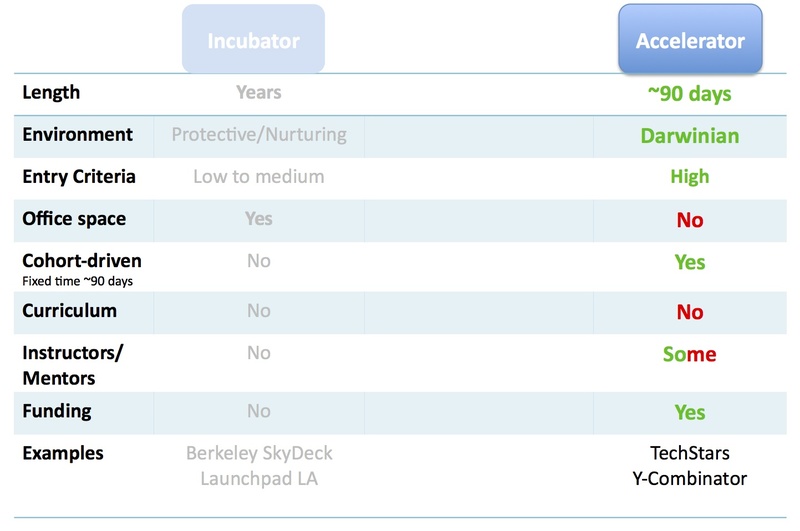 Like an accelerator there is no physical office space, and startups enter and leave as a cohort in a program of a set length. 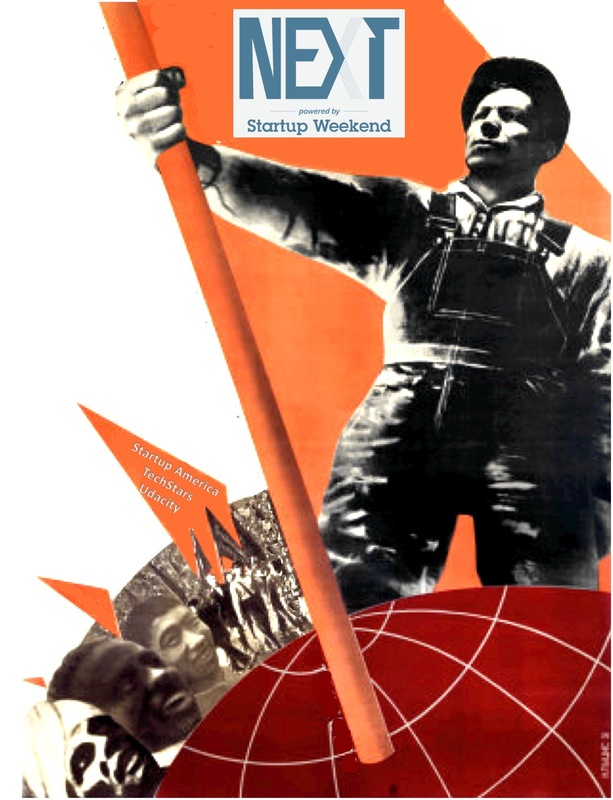 But the key difference is that Startup Weekend Next engages you in a formal curriculum. We believe we know what startups need to learn, and we focus on teaching you that. Instead of guest lecturers, you get out of the building and you learn by doing. Like the best accelerators, you get experienced mentors, coaching and introductions. 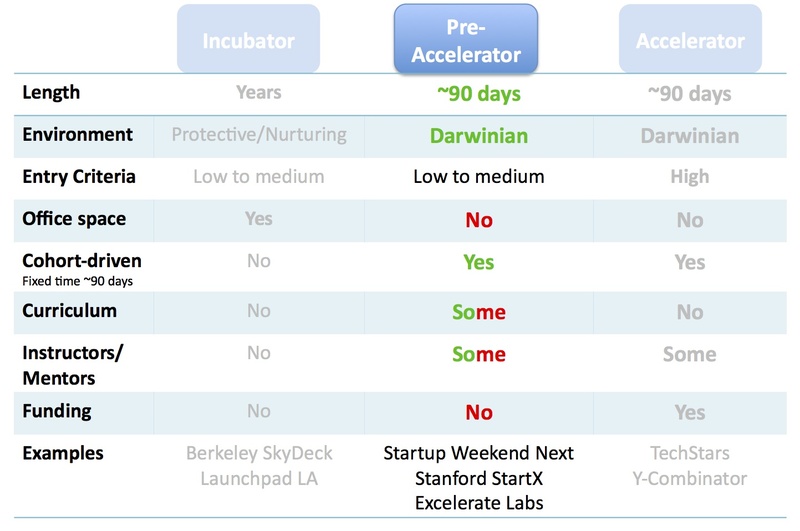 Unlike accelerators, there is no funding at the end of the program. But you leave knowing a lot more of what it takes to build a company beyond a PowerPoint deck for a VC presentation.